Admiral RJ “Zap” Zlatoper’s work life spans four different careers, a verification of his versatile and well-rounded mindset. Admiral Zlatoper was a former commander-in-chief of the U.S. Pacific Fleet, the world’s largest naval command encompassing half the Earth’s surface, and including more than 190 ships, 1600 aircraft, and 200,000 personnel, with an operating budget of $5 billion per year. 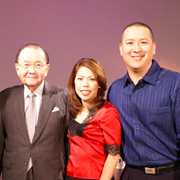 After a distinguished naval career, he became co-chairman of the board and chief executive officer of Sanchez Computer Associates, Inc., a banking software company rated 45th on the Forbes magazine list of the 200 best small companies in the U.S.
Daniel Inouye has gone through life-changing events that would eventually put him at the forefront of the country’s political arena. Today he is a senator who relentlessly advocates the cause of Hawaiians, the very people he has grown to identify with. Senator Inouye has also played a major role in shaping the defense policies of the United States. He has worked to strengthen the armed forces, and enhance the quality of life for military personnel and their families. Despite being an ethnic minority, young Daniel Inouye displayed a true sense of patriotism as a soldier who fought wholeheartedly against the axis powers in World War II. In March 1943, he enlisted in the U.S. Army’s 442nd Regimental Combat Team, the famed “Go For Broke” regiment. He was soon promoted to the rank of Sergeant and was designated as a combat platoon leader during the Italian campaign. He slogged through nearly three bloody months of the Rome Arno campaign with the U.S. Fifth Army. 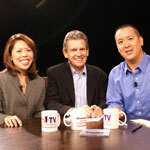 Jeff Watanabe is a tireless business and community leader, being member of the board of more than a dozen for-profit and non-profit organizations. He is a founding partner of Watanabe Ing & Komeiji LLC, which he established with colleagues in 1971. At this time, Watanabe Ing. and Komeiji LLC was the youngest of its kind which went head-to-head with the five biggest law firms in the state. 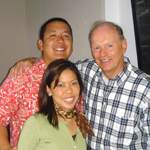 Jeff is also the chairman of the Consuelo Zobel Alger Foundation, which works with hundreds of other non-profit organizations in Hawaii and the Philippines. 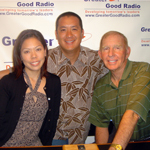 Greater Good Radio brings back Jeff Watanabe, a man of considerable experience in social entrepreneurship. 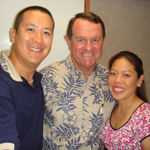 In this interview, he talks about his time in Washington working under Senator Daniel Inouye, and how the senior politician had influenced him in to going back to Hawaii and give back to the very people who brought him to his current standing. Jeff also shares his view on mentorship and how this significantly helps in the formation of values of the coming generation of leaders. 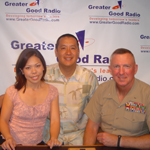 Listen to Evan and Kari’s interview with Jeff Watanabe, and find out more about his unflagging involvement in the community. Don Kim did not let language and cultural barriers get in the way of his professional aspirations. 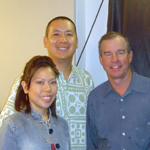 This attitude, along with persistence and dedication, eventually led him to become Sony Hawaii’s top honcho. Coming to the islands from Japan in 1972, Don worked his way up the corporate ladder notwithstanding his minimal command of the English language. 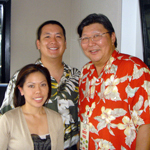 With Don Kim at the helm, Sony Hawaii was able to increase its sales by 64 per cent from 2004 to 2005. This year, Sony sets their sales target to 250 million, thanks to the growing demand of the US Continental and PX military markets. Retired commander, Admiral Thomas Fargo’s years of experience in the military has become a significant factor in his current seating as a corporate executive. Now the CEO of Trex Enterprises, a high-tech research and development company, Admiral Fargo is able to use his skills and knowledge to mold an easy transition and operate effectively in the business world. As a top military officer, Admiral Thomas Fargo has traveled around the globe mostly in the Pacific region to help establish economic and security ties with the orient. Admiral Fargo’s decades of experience in the Navy brought him to understand different cultures and instill in him a sense of understanding and tolerance, prerequisites to peaceful coexistence. 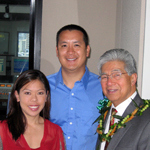 Senator Daniel Akaka’s social involvement has its roots from the beginning of his working career. Senator Akaka’s public service began in the mid-40s as a welder-mechanic for the US Army Corps of Engineers, gradually making his way to mainstream government to become the United States’ first senator of Native Hawaiian ancestry—after years of serving the State of Hawaii in various departments. Senator Akaka is a ranking member of several governmental committees including the Veterans’ Affairs Committee, and the Energy and Natural Resources Subcommittee on National Parks Historic Preservation and Recreation amongst many others. He has received more than half a dozen awards and recognitions throughout the course of his political career. David Heenan became a pilot, a corporate executive, and board member of a numerous organizations, but his real passion directs him to share insights in the modern corporate and global phenomena. As an author, Heenan has written and co-written several non-fictions pertaining to specific aspects of corporatization and globalization with focus on the American paradigm.